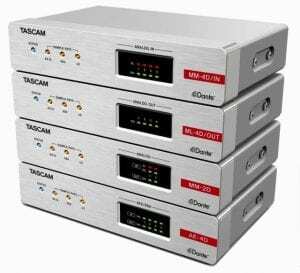 TASCAM’s ML-4D/Out accepts four channels of up to 96 kHz Dante input and provides four line-level outputs, available on either XLR or Euroblock connectors. 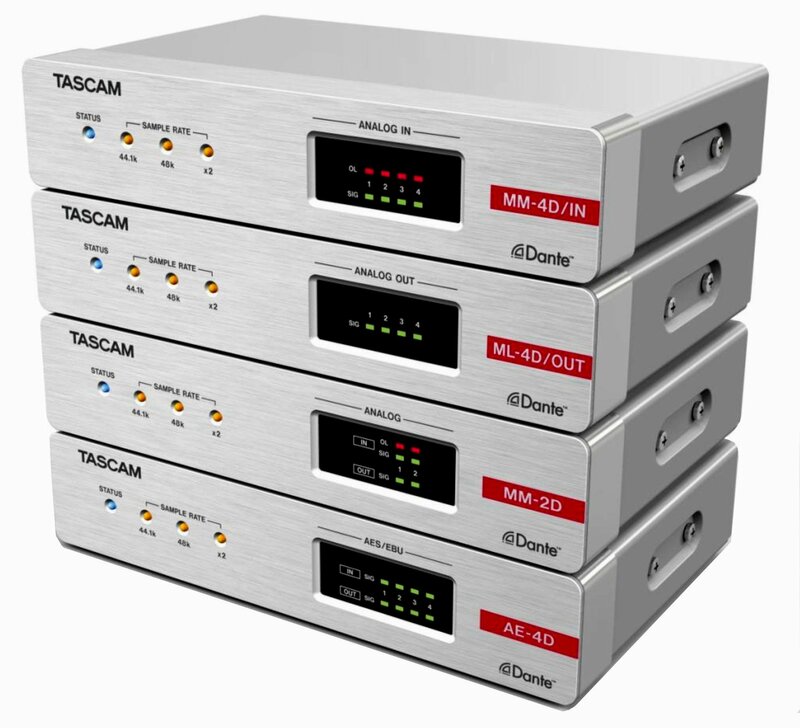 The onboard 4×4 matrix mixer includes level control, ducking, ambient noise compensation, and muting. Each output has a 10-band EQ, delay, level control, limiter, polarity reverse, and muting.